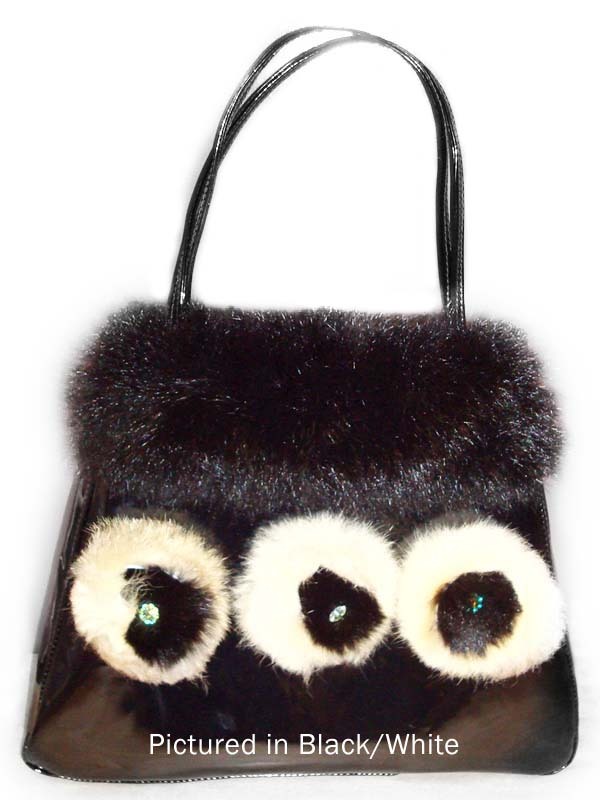 Constructed with black PVC patent and trimmed with a Possum fur band, the Rose is a feminine, pretty handbag. 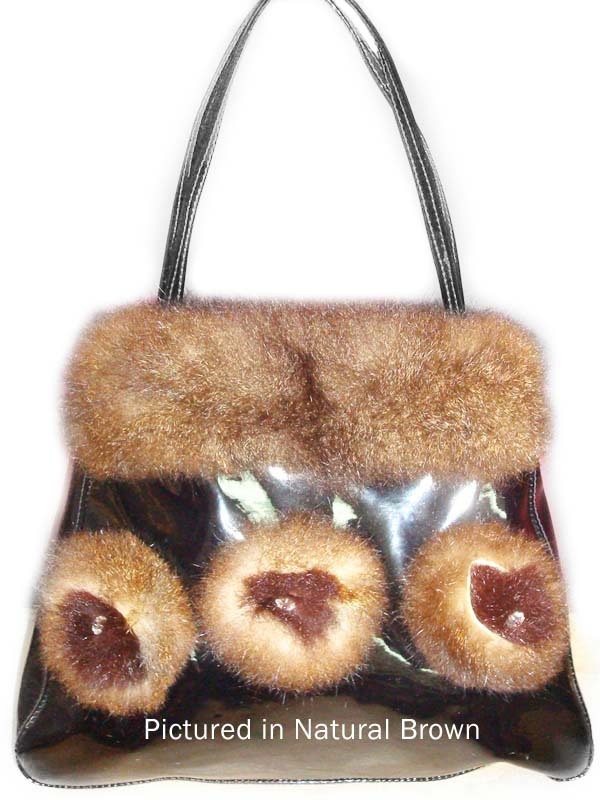 The stunning Rose bag features 3 handmade Possum fur flowers with hand-sewn crystal bead centres. Lined with polyester satin and featuring a magnetic dome closure.